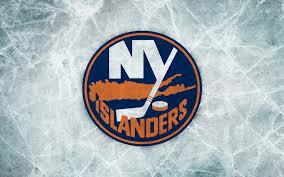 The New York Islanders underwent some pretty heavy plastic surgery over the course of the offseason. They made three big swaps: Shipping inconsistent young forward Ryan Strome to Edmonton in exchange for offensive winger Jordan Eberle; donating a first and a second round pick to Vegas in exchange for them taking Mikhail Grabovski’s contract as well as fringe NHL goaltender Jean-Francois Berube; and lastly, replenishing their draft reserves by moving RD Travis Hamonic to Calgary. This could be General Manager Garth Snow’s last stand and he can ill afford to leave any stone unturned. The Islanders are having a whale of a time with more than just their on-ice product. The hot topic of superstar John Tavares’ future looms heavily on the horizon. Tavares, an unrestricted free agent at year’s end, has not had much team success – winning just one playoff series since he’s been in the league. On top of all that, the ongoing saga of their arena woes does nothing but augment the team’s lackluster performance in the Snow era. There is help on the way – at least in terms of personnel. “A” prospects like Matt Barzal and Josh Ho-Sang are not terribly similar in style, but they have top-line ceilings. Anthony Beauvillier, already a full-time major leaguer, has shown great utility as a youngster as well. The Isles seem intent on building up a great defense, but all the pieces haven’t fallen quite right for that to actually take hold. Guys who have been around a while now, like Ryan Pulock, Scott Mayfield and Adam Pelech have failed to take the next step and it wouldn’t be surprising if only one of them became a useful NHLer. The hope begins to shift to the next wave: Sebastian Aho, Devon Toews and Parker Wotherspoon to pick up the slack in due time. The Islanders are strong in net from a prospect perspective. Linus Soderstrom and Ilya Sorokin no doubt put the Islanders among the crème de la crème of goalie stables around town. Jaroslav Halak has a lot of talent, but struggled mightily last season, even taking a tour in the minors for a spell. Thomas Greiss doesn’t appear to be more than a marginal backup, so there isn’t exactly a door for the young kids to kick down – it’s unlocked. The carrot that they can’t seem to get is a trigger man for John Tavares. Maybe Anders Lee, one of the preeminent goalline backs in the circuit, can keep his pace, as free agent acquisition Andrew Ladd has failed to deliver the goods. To make matters worse, the sputtering skating of Michael Dal Colle has not improved and Kieffer Bellows had such a bad year at Boston University that he removed himself from the league all together. The Islanders have some fresh faces behind the bench. Led by Doug Weight, the former semi-star centerman is tasked with getting the Islanders back into the playoffs in a tough Patrick Division. 1. Matt Barzal (C) – Savvy, playmaking center with terrific hockey smarts. 2. Josh Ho-Sang (RW) – Electric, flashy winger with tons of goal-scoring potential. 3. Anthony Beauvillier (C) – Quick-witted and industrious two-way forward with a good release. 4. Linus Soderstrom (G) – Technically-sound Swedish goaltender, very few holes in his game. 5. Ilya Sorokin (G) – Flashy, athletic goaltender who has monster upside, but needs maturity. 6. Sebastian Aho (D) – Mobile, offensive defenseman who could have a Gostisbehere-like impact. 7. Ryan Pulock (D) – Owns a bazooka from the point. Big, offensive-minded blueliner. 8. Kieffer Bellows (LW) – One of the best shots/releases not in the NHL among his peers. Needs to work on skating. 9. Michael Dal Colle (LW) – Heavy shooter with a strong nose for the net. Skating is not NHL ready. 10. Devon Toews (D) – Wonderful skater and puck mover. Needs to improve his overall game and get experience with tougher competition. Sebastian Aho (D) – After being passed over a couple of times, the Isles rolled the dice on a smaller, offensive defenseman in the 5th round of the 2017 Entry Draft. Ignoring the draft procession and focusing on the tools the young Swede possesses, there is a player that has a legitimate chance to play in the NHL in 2017-18. A wonderful skater with an array of offensive tools, Aho could quickly turn into New York’s most technically skilled defenseman in no time. Aho is worthy of selection in all standard dynasty formats given his upside, proximity and opportunity. Linus Soderstrom (G) – Soderstrom posted a dominant season in the SHL in 2016-17. More importantly, the skills that he showed are very transferrable to North America. Soderstrom is married to his technique and it is very advanced for his age. Extremely composed and well-anchored, the big Swede makes repelling pucks look too easy some nights. If he continues to progress, particularly with his hands, he could quickly make an impact in the NHL. Soderstrom won’t be a starting goalie in the NHL this season, but he looks the part much more than the flashier Ilya Sorokin. Devon Toews (D) – A standout at Quinnipiac, Toews took the AHL by storm as a rookie. He notched 45 points in 76 games with Bridgeport to start his pro career. He participated in the All-Star Game festivities – winning fastest skater – and was named to the AHL All-Rookie Team. Toews’ combo of skating and playmaking ability was able to be better utilized at the pro level because of the upgrade in talent around him. He’s still a little undercooked defensively, but he will likely be pressed into top minutes in 2017-18 at the AHL level and may even see some NHL time depending on injuries. Toews is a raw prospect still, but is worthy of consideration in ultra deep formats. Michael Dal Colle (LW) – It’s not quite time to press the panic button on the 5th overall pick from 2014, as he just completed his first professional season. Dal Colle bagged 15 goals and 41 points in 75 games for Bridgeport (AHL). The shot and release he owns could score in the NHL. Though he goes to the net and bangs for goals, Dal Colle is capable of scoring from mid-range – which is worth its weight in gold in this era. The elephant in the room is the big winger’s skating stride: It is stiff, slow and the edgework is not up to snuff. It will be difficult for him to have an NHL impact with those feet. If someone is willing to buy him at “draft stock” price, it’s worth considering putting a “for sale” sign on him. Kieffer Bellows (LW) – It’s been a tale of two seasons for American winger Kieffer Bellows. In 2015-16, he was the talk of the town with a 50-goal season with the U.S. U18 Team and an impressive stint with the USNTDP at the USHL level. He moved to Boston University in 2016-17 and ended up with a forgettable year: seven each of goals and assists while being a minus-9 in 34 games. As an encore, Bellows has decided to jump ship on the collegiate route in favor of the WHL’s Portland Winterhawks. Not short on goal-scoring gusto, Bellows struggled without a top-flight playmaking center that could carry the pill. The puck jumps off of Bellows’ blade about as good as any prospect in the world right now, but questions about his usefulness without a top-end pivot combined with the appearance that he is skating on butter knives most nights leaves a little to be desired heading into his Draft+2 season. Scott Mayfield (D) – The 34th pick in the 2011 Draft, Mayfield saw a healthy amount of NHL action in 2016-17. His nine points in 25 games is certainly nothing to be ashamed of. That said, the hulking rearguard will be 25 at the start of the coming season and his skating-plus-puck-skills package is very weak by NHL standards. He still tends to throw pucks away and his heavy feet don’t do him a lot of favors. He doesn’t project to be much of an NHL player at this point, which may inflate his PIM totals in the short-term while the Isles figure out whether or not he is useful to them or not. Adam Pelech (D) – Pelech played about half of the full complement of NHL games in 2016-17, netting ten points and a dash five along the way. Though a sizeable defensive defenseman, Pelech plays a pretty timid game and his spacing/gapping issues are prevalent all over the rink. Nothing about his offensive game grades as NHL caliber heading into the offseason and, barring a magical summer, it seems unlikely anything will emerge in this regard come October. Not only is he dump-able from a fantasy point of view, one particularly pointed author might recommend the Isles do the same – but with a four-year extension in hand, that ship has sailed.